How do you explain cancer to kids? This book holds the key…. This book educates children about cancer in a very honest, light-hearted, and inspiring way. In this book kids will discover: what cancer is and how it is treated; the side effects cancer treatment can have; who is affected by cancer; cancer is not contagious; ways to prevent cancer; who they can turn to for comfort and to help them cope; cancer doesn’t define a person; there are positive aspects of the journey; and much more. This book explains the process of a divorce to children in a very honest and positive light while also helping them work through the emotions that occur as a result of divorce. This book will bring them comfort, acceptance, and understanding during a very difficult time in their life. How do you explain autism to kids? This book is the answer…. The Truth About Autism educates children in a very honest, light-hearted, and inspiring way. In this book kids will discover what autism is, common symptoms/behaviors of autistic children, challenges that children with autism spectrum disorders may encounter, ways to possibly improve symptoms of autism, being “on the spectrum” doesn’t define a person, and there are positive aspects of the experience. This book works perfectly whether it is your child that was diagnosed or someone they know. Princess Faith knew her classmate was being mistreated, but what could she do…? Soon Princess Faith remembers that she can wave her magical wand to make the Bible appear whenever she needs guidance. This book focuses on a verse from 1 Samuel, “People look at the outward appearance, but the Lord looks at the heart.” Can Princess Faith get her friends to discover they will all be happier if they look at a person’s heart? Your child will enjoy reading this book to find out. 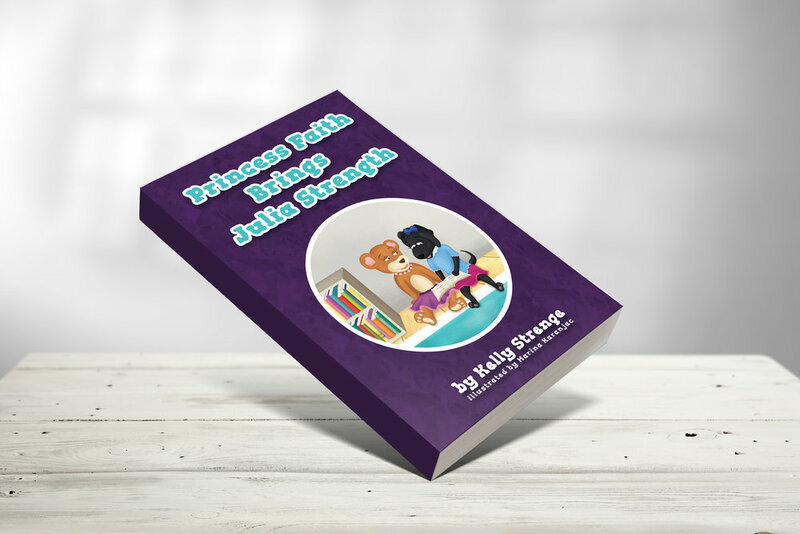 Princess Faith Encourages Eli is the second book in this faith-based fiction series. Every time Princess Faith makes the Bible appear she shows children how to relate scripture to their everyday life. In this book, she teaches Eli how to love himself. Julia is struggling in school. She is having a hard time learning to read. How can Princess Faith help Julia find her inner strength? This book focuses on Philippians 4:13, "I can do all things through Christ who strengthens me." Can Princess Faith get Julia to overcome her emotions and believe in herself? Your child will enjoy reading to find out. Buy this book to teach your child about personal growth and self-esteem today! Why do we celebrate Christmas? Why do we put up Christmas lights? Why do we decorate a tree? Treat your little angels to The Truth About Christmas to educate them on the reasons behind the Christmas tree, nativity scenes, candy canes, and so many more traditions, customs, and symbols that spice up the most important Christian celebration. Buy this book to illuminate little inquiring minds about the meaning of Christmas today!